3% cash advance fee rate is good. There is no balance transfer fee for the card. There is no annual fee for the card. This is very good feature for a secured credit card. All interest rates are very high. Cash Advance Fee is good but minimum amount is very high. 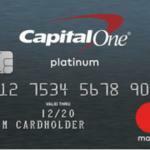 Capital One Secured Card is a card that will help you for build credit and rebuild credit. The card is providing basic features for consumers. You can read our review below. We are going to analyze all stats of the card here. Of course we are going to examine all features for those who have bad credit and for those who want to build credit. Current interest rate of the card is 26.99%. This rate is too much even for a credit builder card. If you care for interest rate much we recommend you to seek another card. However there are also many other upsides of the card. You will see upsides of the card at other fees section. This is a secured card. There is not many card which provides rewards and bonus. However if the situation changes for the card, we are going to update this section of the review. There is no annual fee of the card and this is the upside of Capital One Secured Card. It is because generally secured cards request payments. There is no foreign transaction fee for the card. It means if you spend in abroad or if you purchase items in other currencies, you are not going to pay extra for those. There is no balance transfer fee of Capital One Secured Card. You are not going to pay fees for balance transfers. Cash advance fee is 3% maximum. This is very good rate. However minimum cash advance fee is $10 and this is much. 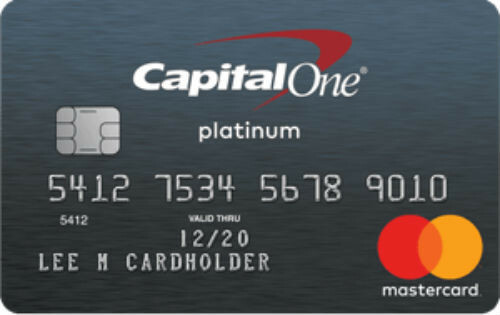 Capital One Secured Card is not a perfect card with current interest rates. However if you are seeking a card with no annual fee and no foreign transaction fee, this card can be good for you.